Describe this Piece: The best kept secret for hiking and camping. 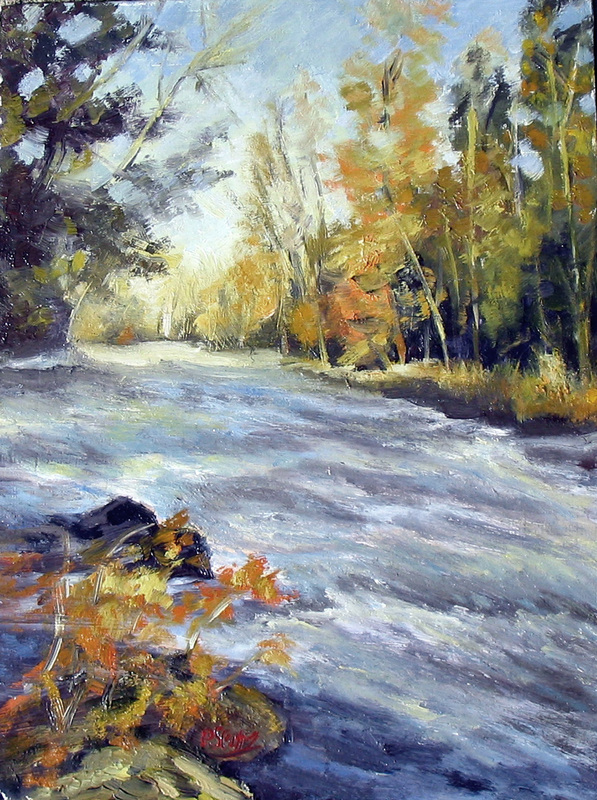 This is one of my latest oils from a series I have been working on called, “Adirondack Seasons”. Vibrant, lots of movement, good colour. Well done. When I look at this painting I get an urge to go out into the nature. It’s very lively.